Another governor is taking action against worker misclassification , this time in Colorado. Just a couple weeks ago we told you that New Jersey Governor Phil Murphy created a task force  to tackle what's been described as a "half billion dollar problem" in that state. 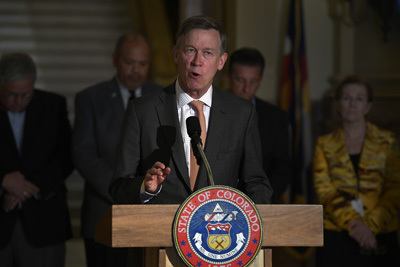 Now Colorado Governor John Hickenlooper is following suit, signing an executive order  this month creating a similar task force to investigate the problem and find ways to combat the misclassification of construction industry employees. The task force will “coordinate with relevant state agencies to share information and streamline investigations around alleged misclassification of workers" and will "coordinate with business, labor and community groups,” according to the governor’s office . Worker misclassification is the illegal practice of designating an employee as a "1099 worker" - or an independent contractor - to avoid the payment of payroll taxes, unemployment taxes, and workers’ compensation insurance. There are many legitimate uses of contract labor but the problem occurs when employers use that designation as a way to fraudulently cut their costs so that they can submit lower bids for projects. In many places, this fraud makes it nearly impossible for law-abiding contractors to compete. The IRS has a test to determine  who is and who is not an employee versus an independent subcontractor. It's important to note that Gov. Hickenlooper’s move has the support of representatives of both labor and industry. Meantime the Associated General Contractors of Colorado  pledged the trade group’s full support. There is no time to waste, state officials said. “We are going to hit the ground running to convene key stakeholders in order to ensure across the board compliance with Colorado’s labor and employment laws, particularly in the commercial construction industry,” said Sam Walker, the executive director of the Colorado Department of Employment and Labor. “Consistent and effective enforcement of our laws and regulations is a win-win for law-abiding companies and their workers. By collaborating with the other state agencies on this task force, as well as with workers and contractors within the industry, I know we’ll be able to identify areas for improvement so that our State’s labor and employment protections work as they should throughout Colorado’s booming construction sector,” Walker said.